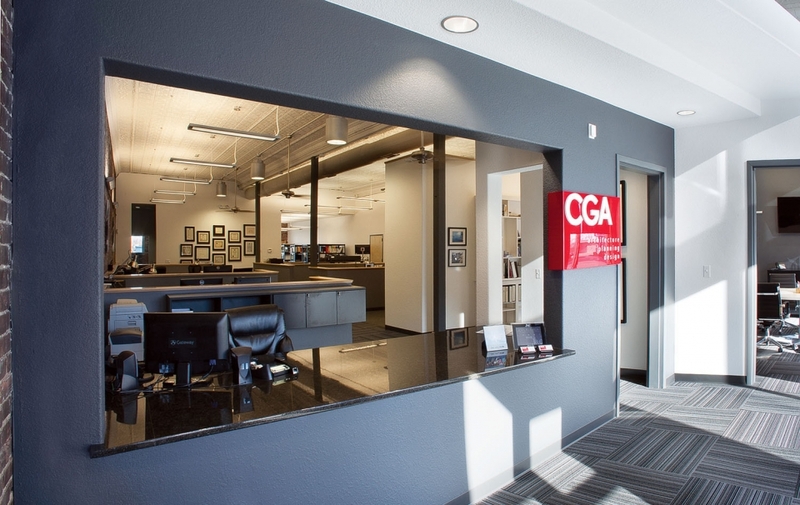 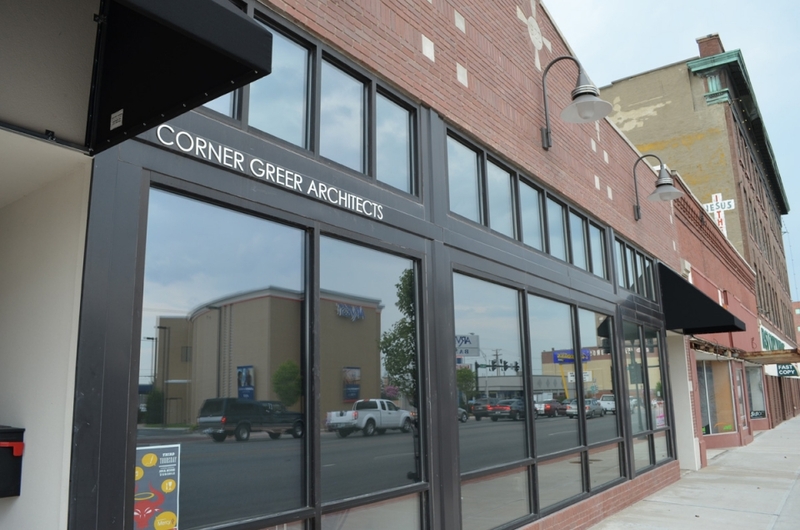 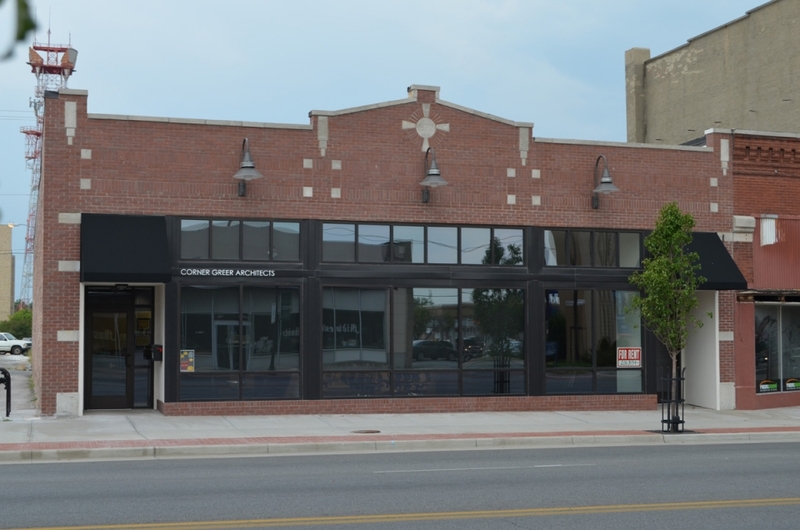 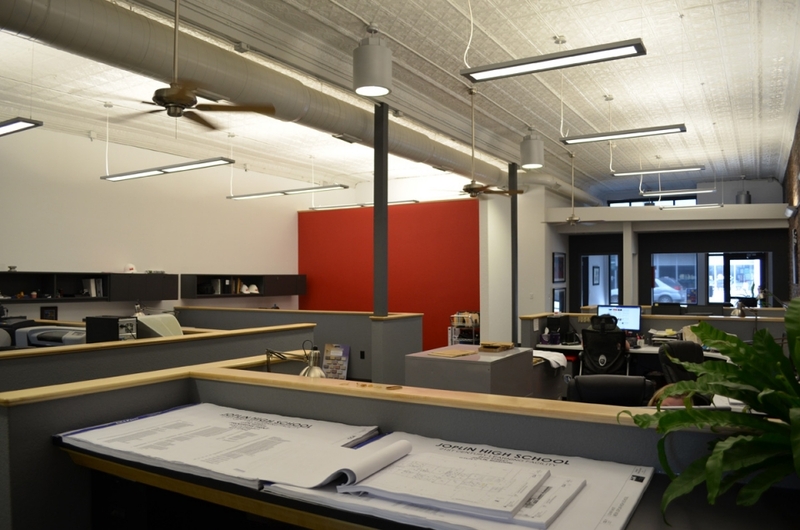 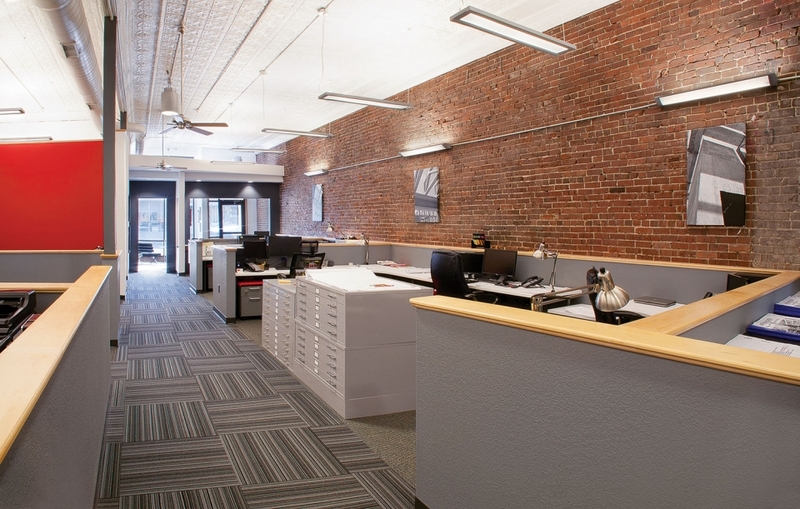 Built in 1922, this historic building in downtown Joplin was renovated for the new CGA Missouri office. 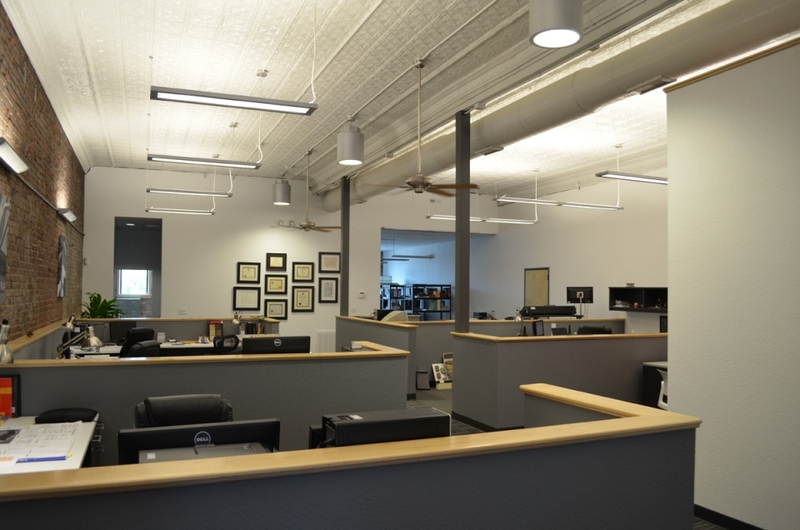 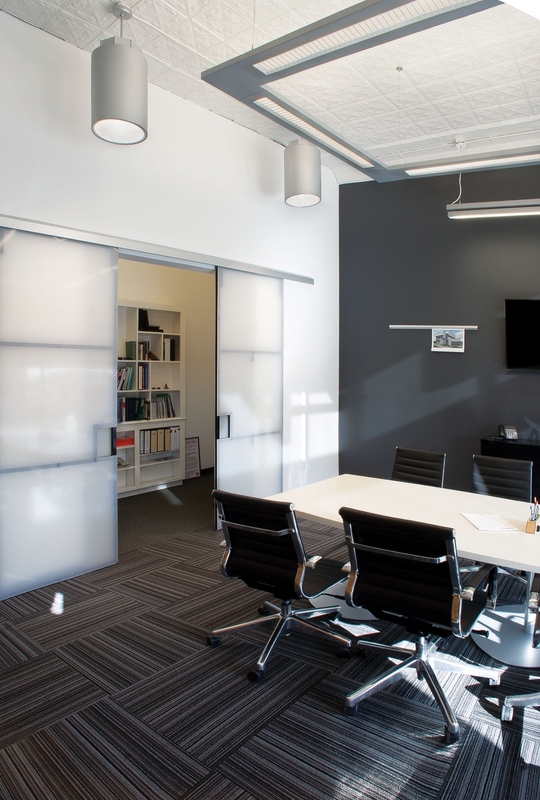 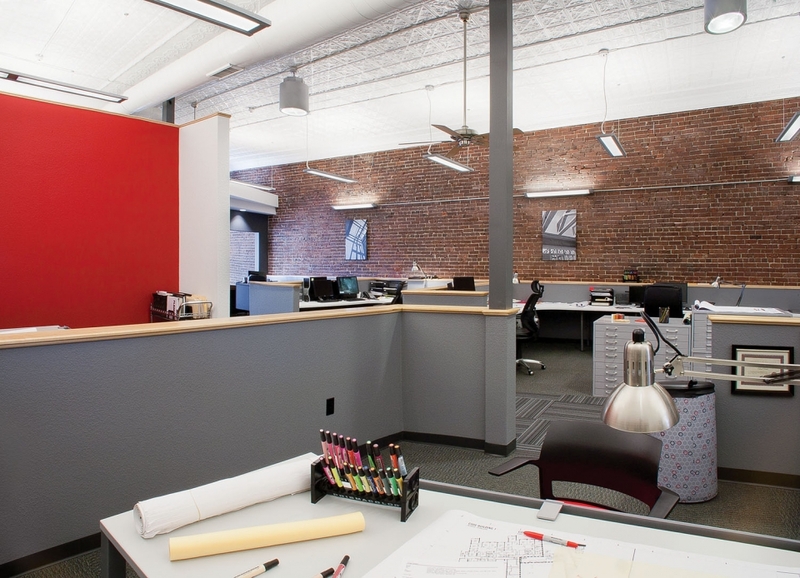 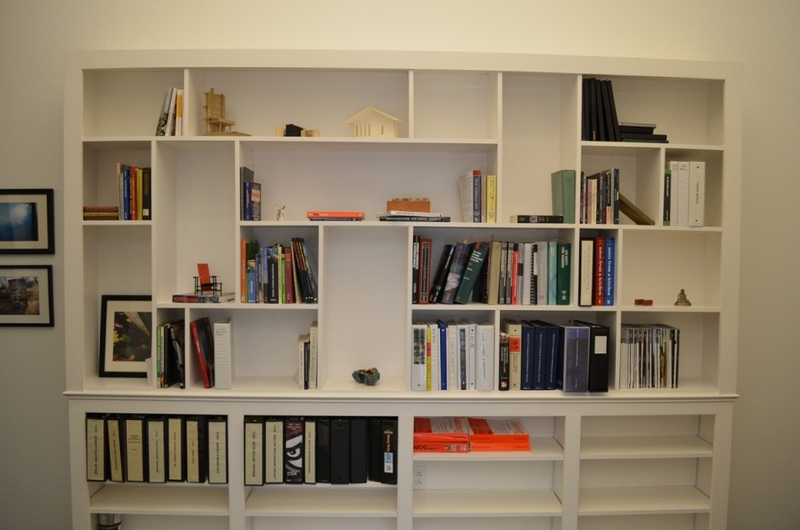 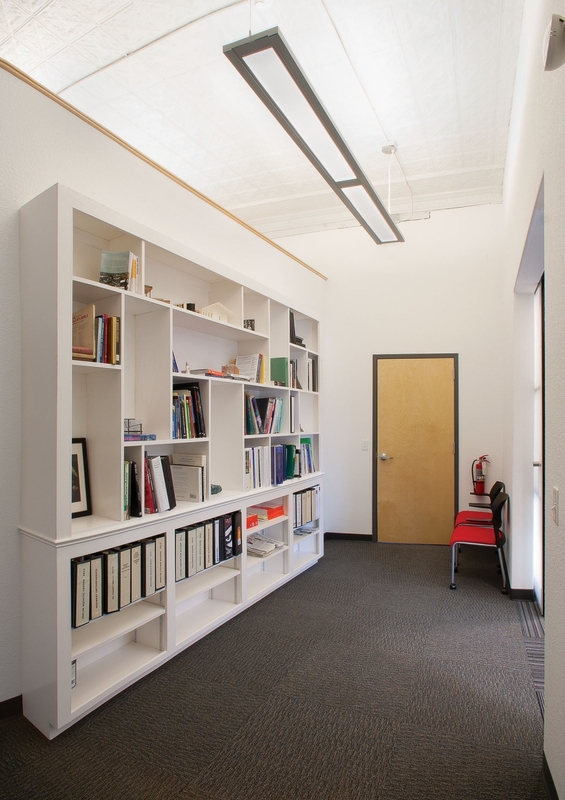 The large office space is very open which lends itself to much collaboration and communication between staff. 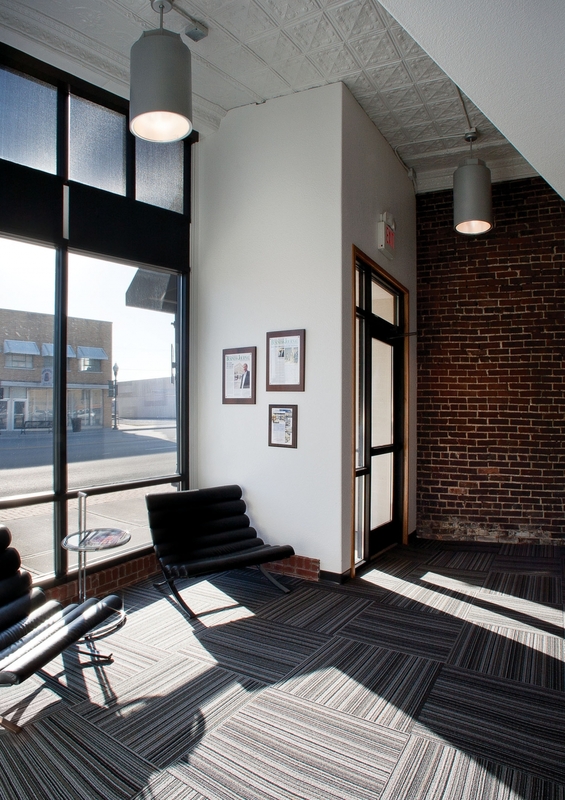 Rope lighting in the conference room wall shines between the wooden slats during the day when the sun shades are drawn and can be seen through the large storefront windows in the evenings. 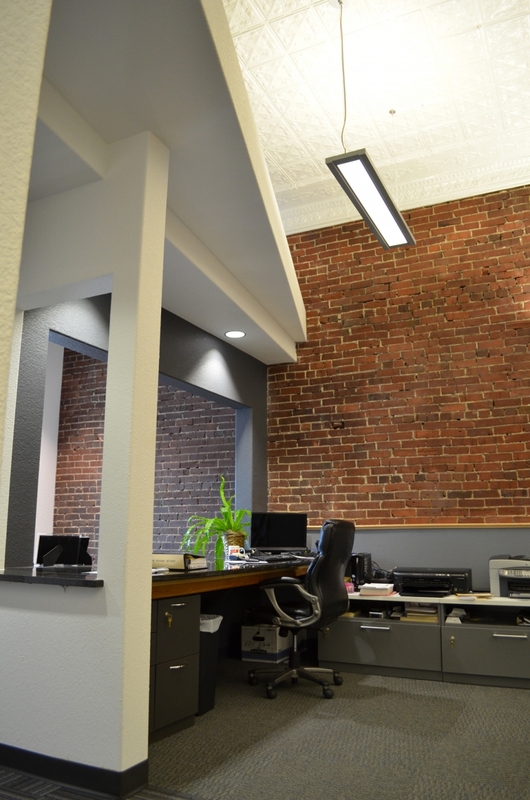 Restored tin ceilings have been painted white to highlight the detailed panels and the historic brick walls have been preserved to offset and compliment the modern finishes.